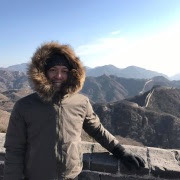 Two days ago, I was so into Facebook that I want to add more friends in my account. 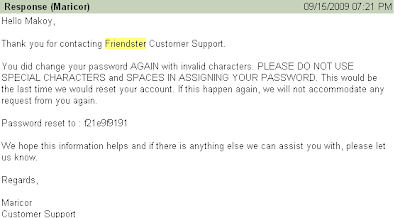 Since I have an existing Friendster account, I tried to login to list the names of my friends. It says though that my password is invalid. Since my passwords are auto saved in my laptop, I am certain that I did not change my password. I went to check my Friendster profile and confirmed that my account was definitely hacked. The hacker even changed my status message. Huwat! Anyway, I clicked the “Forgot your password” link but I did not receive any email for the password reset. It looked like the hacker changed my email address. I finally emailed Friendster Help Desk and was replied hours after. They asked me to scan a valid ID then to attach it to my email. Hours after, they sent a temporary password that worked. However, when I tried to reset my password I encountered problems. It says that my old password was invalid. I emailed them again and was surprised that the Customer Service was very arrogant to shout on me on her reply. Based on Alexa, Friendster has dropped 18% while Facebook earned 24% hits over the past three months. No wonder, Maricor of Friendster is so arrogant. September 16, 2009 at 7:08 PM This comment has been removed by the author. just like mine.. why do friendster can't resolve this problem.. i even contacted them to delete my hacked account and they didn't respond to it.. I still have my friendster account but inactive. I don't much more there as I am so busy in facebook and playing the virtual farming, farmtown and farmville. Friedster era is gone and facebook is IN today. What a shame that the she replied you in a nasty way. Sorry to know that somebody is hacking your account.